IG Elements is part of the award-winning Keystone Group, a tried and trusted name in building products with almost 60 years’ experience in design excellence, quality manufacturing and efficient service to the trade. IG Elements is an offsite component manufacturer providing house builders and architects with quality composite products. 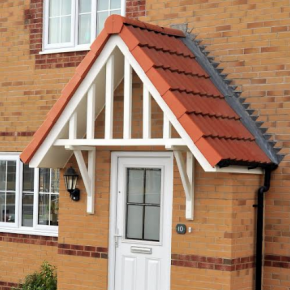 The IG Elements product range includes door canopies, bay roof windows, dormers, chimney stacks and door and window surrounds. 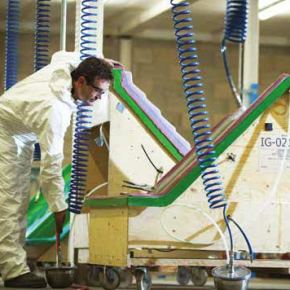 Our manufacturing facilities are based in Overseal, South Derbyshire with a dedicated and highly experienced team of technical engineers to appraise and schedule your offsite component requirements. IG is a market leader in terms of research and development, with a highly skilled team working to ensure that consistent levels of performance are constantly improved upon. The team use cutting edge software to produce highly accurate computer stimulated scenarios to ensure our products perform above and beyond the standard required. Our products are designed to provide a low-cost solution to reduced carbon emissions and improved fabric energy efficiency. IG products provide a low-cost solution to reduced carbon emissions and improved fabric energy efficiency.